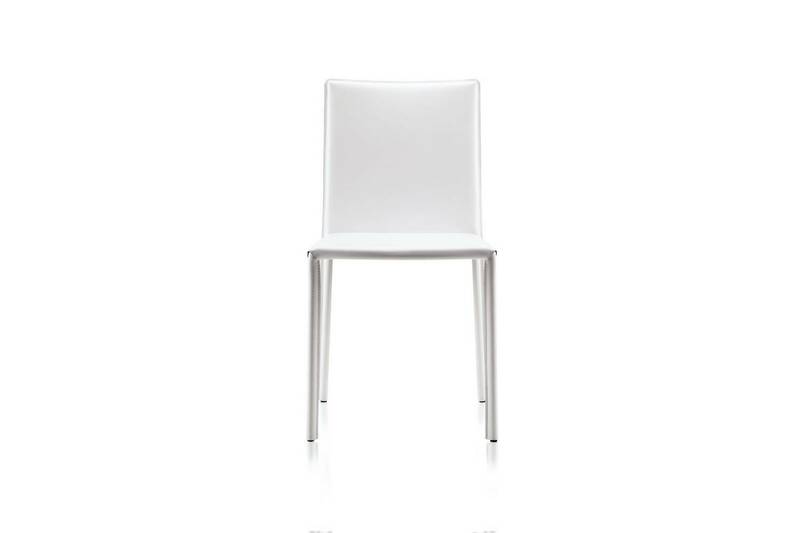 Twiggy chair, with his essential lines, thin and light form, can be placed near any type of table. 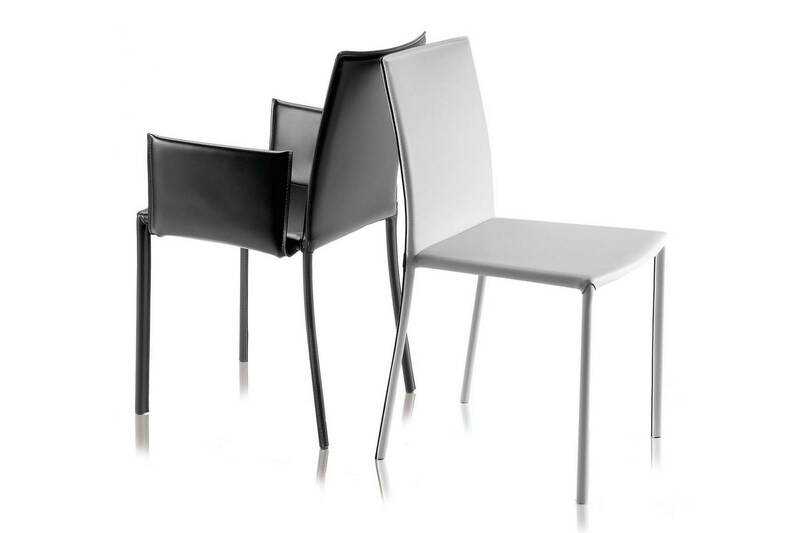 The strucutre is produced in steel; seat and back are filled with polyurethane foam in order to guarantee a maximum comfort. 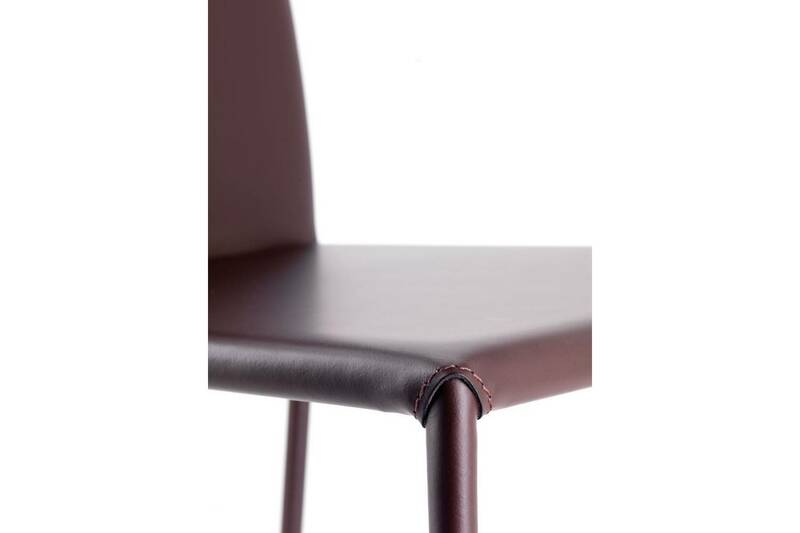 Twiggy is completely upholstered in leather, a resistent material with a feeling of warm and elegance for any enviroment, both in domestic and working spaces. 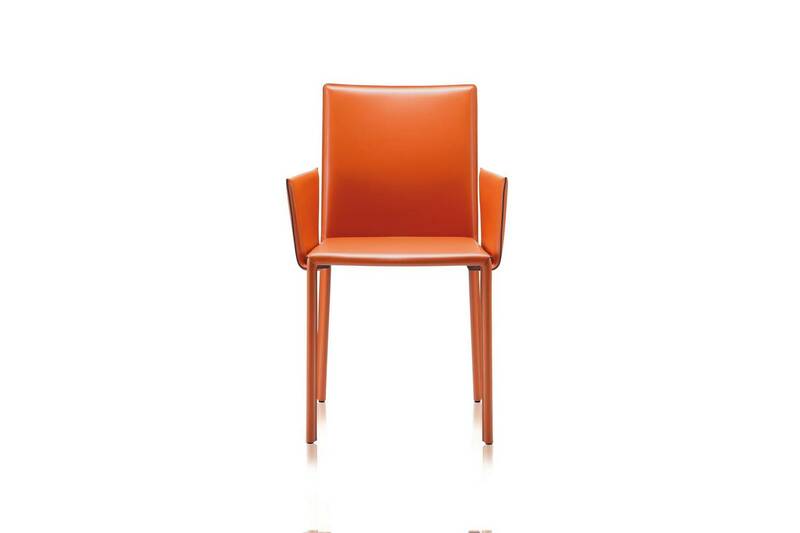 Twiggy chair is available in 16 leather-colours, both classical and trendy; stitches are either same colour of the leather or a different one, to create a contrast. 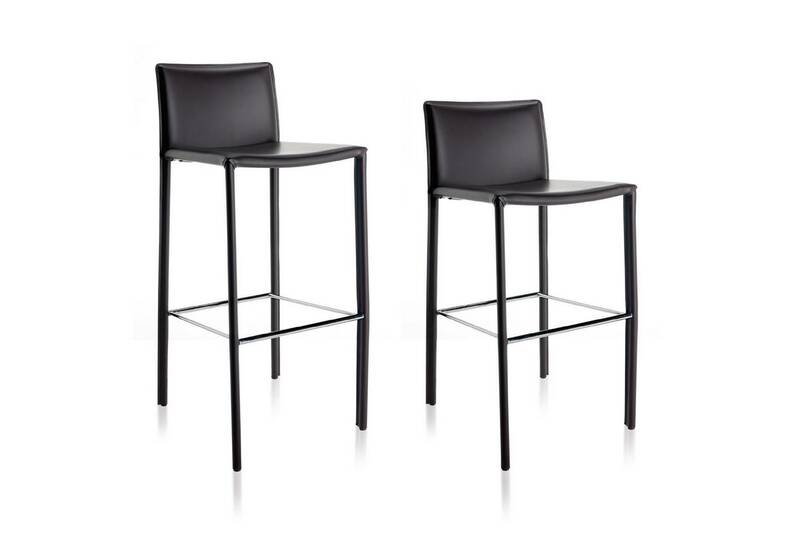 The version with armrest and a two heights stool are also available.